making good choices for your family can be difficult. We are changing that: By partnering with farmers to raise the highest-quality ingredients, by creating a distribution system that delivers ingredients at a better value and by investing in the things that matter most—our environment and our communities. This will be a decades-long effort, but with each Blue Apron home chef, together we can build a better food system. We're developing better standards for higher quality ingredients. At the grocery store, it can be hard to tell whether food is high quality and sustainably grown. We are partnering with the foremost sustainability experts to create better standards for growing food and raising animals. This means better outcomes for our environment, guaranteed markets for our farmers and higher quality ingredients for our home chefs. 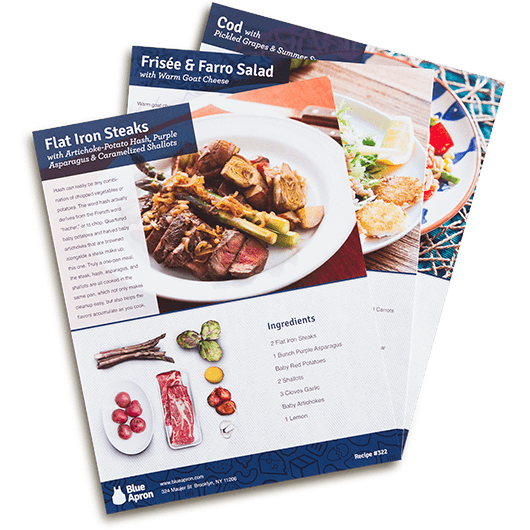 Learn more about one of the ways we're bringing industry-leading standards to Blue Apron with BN Ranch grass-fed, pasture-raised beef. We’re supporting regenerative farming practices to replenish our land. Regenerative agriculture—putting more back into the land than you take—is essential for the long term viability of America’s food system. By building our menus around crop rotations that are best for our farmers, we help replenish their soil and increase their yields, while reducing their reliance on inputs like costly pesticides and fertilizers. Blue Apron’s agroecologist and farm partnerships team develops crop plans each season with our farmers. We monitor progress with soil tests and farm sensors to help replenish the health and productivity of their land. Read more about just how important soil health is to one special New York farmer. We’re eliminating the middleman to deliver fresher food. In the traditional supply chain, ingredients are often picked before they’re ripe so they can withstand a journey through the hands of many middlemen. We’ve pioneered a different model that delivers fresher, high-quality food from the farm to the kitchen, avoiding long and wasteful detours at costly grocery stores. We’re reducing food waste to create better value. Almost half of food in America is wasted, which means significant natural resources are lost in food production while consumers pay inflated prices. Our membership-model allows us to predict our orders each week, so we can work with farmers to plan and utilize whole crops, growing only what’s needed. We then send our home chefs pre-portioned ingredients to cook our recipes, so they’re not left with extra food at the end of the week. These practices allow us to reduce food waste across our supply chain, and bring you incredible ingredients at a better value than the grocery store. 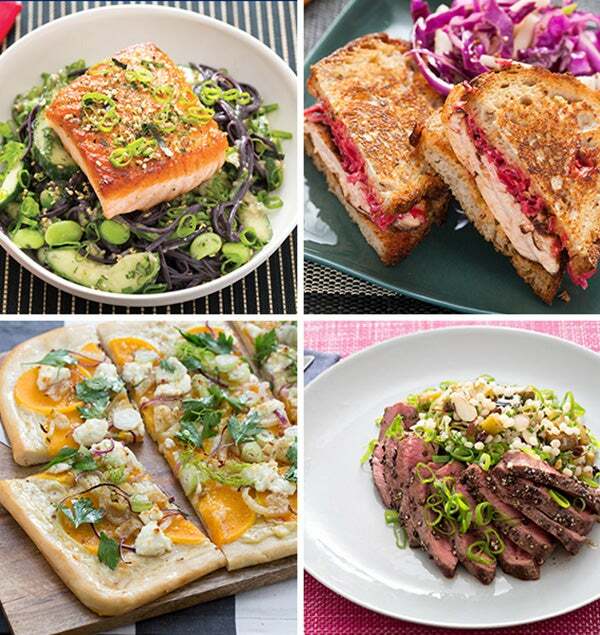 By cooking with Blue Apron, you’re helping to build a food system that’s better for everyone.